How To Create Your Own Work from Home Job: Become A Boss! 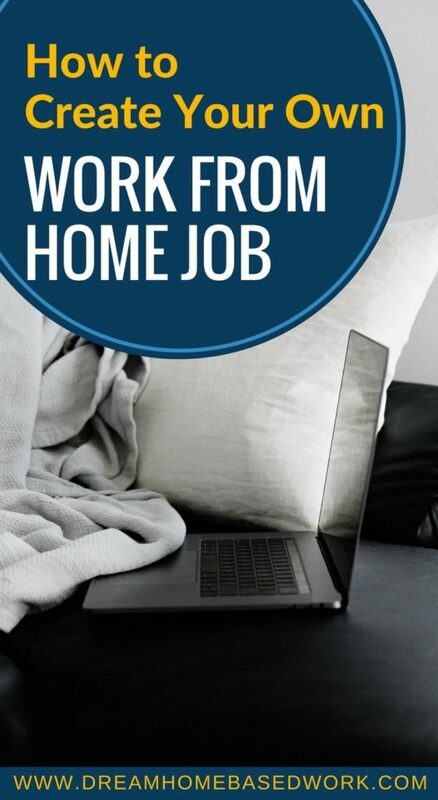 Whether you want to enjoy the flexibility of setting your own schedule, make some extra money online, or explore a new career field, working from home probably sounds very appealing. There are tons of opportunities out there, but work from home jobs are not created equal. There are also limitations most people fail to mention. Working from home for an employer is similar to going into an office for you. While you will have the freedom to work in your pajamas, you'll probably still have to log certain hours, request vacation days, and report to a supervisor or boss. If you're looking for more freedom and flexibility, you may be leaning toward entrepreneurship. The good news is that you can always create your own work from home job. Here are some tips to help you get started. If you're going to create your own work from home job, you need to choose a service to specialize in. Think about what you can offer that will provide value to other people and make their lives easier. I usually recommend people choose a skill they have or hobby they can monetize. If you love to teach, you can offer tutoring services. If you are a good writer, consider freelance writing. Love social media and organization, you might make a good virtual assistant. Are you creative and crafty? Consider setting up an Etsy shop. If you're going to create your own work from home job, you need to establish a platform to promote your products and services. Since you won't be able to rely on an employer's website or network, you'll have to create your own. If you're going to take your business idea seriously, I'd highly recommend starting a website or blog. This will help you establish yourself as an authority in your niche. If you're a freelancer, be sure to create a ‘hire me' page on your site to let others know what your services are and how to get in touch with you. Also, get on social media if you haven't already and update your LinkedIn profile. If you don't think a website is necessary, consider setting up an online portfolio at minimum to showcase your work and share your reviews and referrals. People who are interested in hiring you or buying from you will likely look you up online first to learn more and you want a to have a professional online presence. Next, you need to find clients and customers so you can get paid. 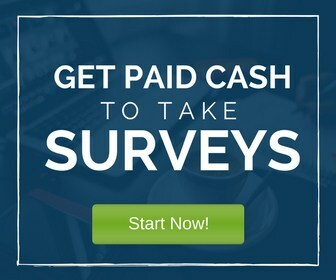 There is more than one way to market your work from home job. You can send cold pitches to prospects, use social media, or ask your network for referrals. Determine who your target customer is and where they spend most of their time online and offline. Then, get your business in front of them. You can use tools like Facebook advertising to amplify your message. One of the best methods is by word-of-mouth referrals. Just focus on getting one or two clients or customers. Then offer an amazing experience and ask them to refer you to other people. Pretty soon, people will start reaching out to you. As a solopreneur who's created her own work from home job, I can honestly say that developing your own systems and processes is a must. Since you'll have no boss, you need to manage your business professionally and plan out your time and budget. Decide how you'll manage expenses, taxes, and allocating your profit. You may even need to hire an assistant to help lighten your load so you can get more done. Continuing education is important when creating your own work from home job. You may already have some skills and experience, but you need to keep learning and growing. This is especially true if you work in a field that is constantly changing. To become and remain success with your job, you might want to consider taking a course or getting a certification or license to expand your knowledge and expertise. This can also be great for your credibility. For example, if someone is getting married and looking for a wedding planner, they'll probably want to hire someone who's a Certified Wedding Planner vs. someone who just says they love wedding and event planning. Now that you know how to create your own work from home job, I wanted to share some top online job fields to consider whether you're looking for a part or full-time income. 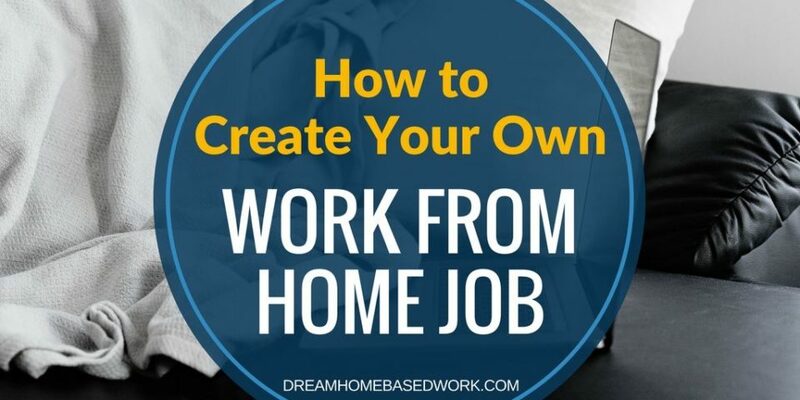 Have you ever thought of creating your own work from home job? What field would you specialize in?